Nintendo has announced a demo tour for its Switch system that will visit several provinces across Canada. Nintendo has partnered with animated television network Télétoon to host a tour throughout the province on Québec. Attendees will be able to play “several new and popular Nintendo games,” according to Nintendo, as well as meet Mario and Rabbids from the acclaimed strategy title Mario + Rabbids Kingdom Battle. More details are available here (note that the link leads to a French Nintendo of Canada website). Enthusiast Gaming Live Expo (EGLX), which is Canada’s largest gaming expo, will take place in Mississauga, Ontario between March 9th and March 11th. EGLX will feature a variety of game-related programming, including eSports tournaments, indie developer booths, virtual reality demos and more. Nintendo will be one of the exhibitors at the show, offering a Nintendo Switch-focused booth with several playable games. A Pokkén Tournament DX mini-tournament will also be held, with some of the show’s YouTuber’s guests taking on the E3 2017 invitational champion, Allister Singh. Stay tuned to MobileSyrup for coverage from EGLX as well. Ontarians who visit the Vaughan Mills shopping centre between March 11th and 17th will be able to check out a pop-up Nintendo kiosk. Nintendo says more details are to come. Nintendo will be at the Wizard World Fun Park between March 15th to 18th to offer what it calls a “magical set up that will create memories.” It’s currently unclear exactly what this will entail, though Nintendo says Mario will be making an appearance each day between 1pm and 5pm. Stay tuned to Nintendo’s website for more info. Nintendo will be hosting a kiosk in the CrossIron Mills shopping centre in Alberta from March 26th to April 1st. Nintendo says it will reveal more details at a later date. Finally, Nintendo will be at Vancouver’s PlayDome from March 28th to April 2nd to host another “magical set up that will create memories.” Again, it’s not currently clear exactly what will be featured in the set up, although Luigi is confirmed to be stopping by between 1pm and 5pm. Note: A general admission ticket to PlayDome is required. **Nintendo says each of these locations will allow guests who are MyNintendo members to scan a QR code once per event to get rewarded with points, while supplies last. 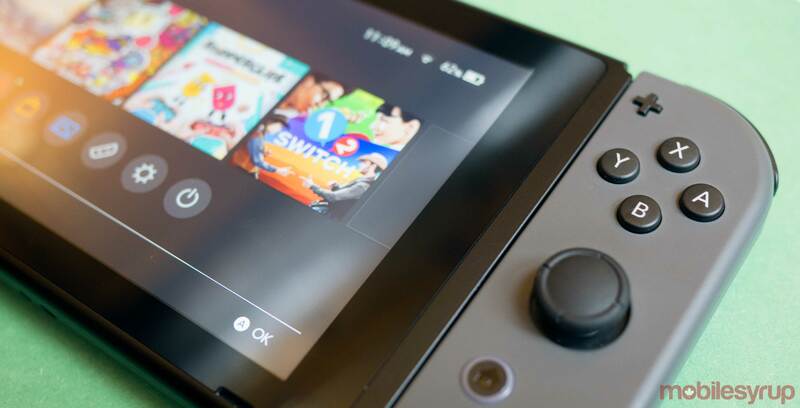 MyNintendo is a free program that allows consumers to earn points by using apps or purchasing select digital titles, which can later be redeemed for rewards like in-game content and discounts on other downloadable games. As well, Nintendo recently announced that Switch games will also begin to be offered as rewards in March.